With the new year, the OhMyBoutique’s content will be soon completely renewed. The new collection will replace for good the current one. Hurry to get the items of your choice! You only have few days before the replacement!! Take advantage of a 40 % discount on the OhMyBoutique’s set of items to make all your purchases. 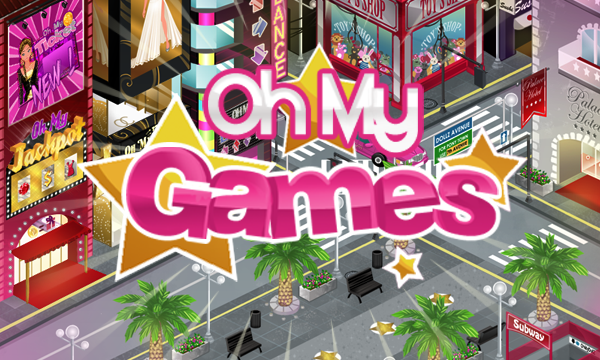 The OhMyGames are mini-games where you can win points which allow you to buy exclusive content at the “OhMyBoutique”. Click on the “OhMyGames” button in the main menu under your avatar. “OhMyDance”: Press the correct arrow keys in the rhythm of the music! “OhMyTicket”: Scratch the card and win points or tokens! “OhMyTwist”: Prove how fast you can align the symbols! “OhMyFashion”: Catch the clothes the clients throw over their cabins! Play this games to obtain points, which can be traded against items at the OhMyBoutique! This discount will be available until the renewal of the boutique that will come on February.